Are you looking for a reliable and experienced gardening company to landscape your property? AC Maintenance provides professional services that are of a high quality yet affordable cost. We are familiar with the Carrum Downs area and regularly service the suburb. We bring over 50 years of experience in the Horticulture industry and service all areas from Commercial, Industrial, and Acreage to small private residences and the typical Aussie backyard. Do you need landscaping to transform your backyard into a beautiful garden oasis? Or perhaps you need advice on a problematic tree in your front garden. Ac Maintenance will make sure you receive the best service possible and get it right the first time. If you don�t see what you need on the list above don�t worry, these are common examples of the services we provide but we can help with any gardening issue. Just ask us! You will speak directly with us, not a third party that just takes your details. We can give you advice straight away and set up a time that�s good for you to take a look at what you need doing. 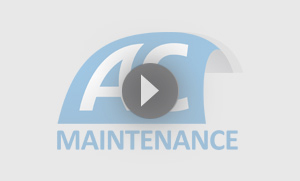 AC Maintenance has over 50 years of experience in the Horticultural Industry. Commercial properties are one of our specialities. We are Chemcert certified and understand all aspects of chemical spraying. When dealing with chemical spraying it is really important to get a company that knows how to effectively treat the issue. Industrial and factory properties can often overlook outside areas. Not only is an aesthetic issue it can often lead to problems with vermin, raise fire hazards, wreak havoc on the building structure and bring in council fines. AC Maintenance provides a premium garden maintenance service and is expert in the requirements of clients located in Carrum Downs. Acreage in Carrum Downs requires regular maintenance to ensure it does not cost you more if left unchecked. Ac Maintenance will review your property and provide advice on any issues that need addressing, whether it is regular mowing to keep fire risks down or rubbish removal to address vermin issues. The City of Frankston has specific council requirements in relation to acreage properties and your property will need regular maintenance to comply with them. Ac Maintenance can provide premium gardening services to your acreage property and make sure your property is regularly maintained to keep extra costs at bay. Make sure you get the right people for the job so it doesn�t cost you more in the end. Call and speak with on Phil: 0414 544 277 or Glen 0407 537 796. You can also leave your details and we will get back to you as soon as possible.